The love of beauty is an essential part of all healthy human nature. That may explain why women always consider the beautiful appearance as the first consideration when buying or choosing something for themselves. 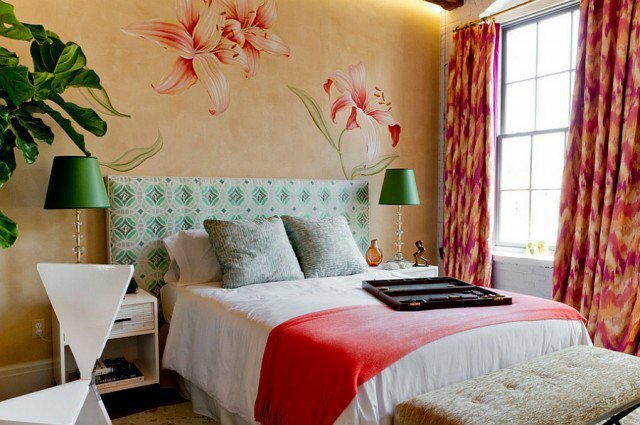 When it comes to the bedroom, women will decorate their bedrooms in their own styles. Whatever the style is, there is one style that all women will love. That is a feminine one. The bedroom is the most private space for a person and it is where you stay and sleep. You should turn your bedroom into your own castle where you can feel free and comfortable. It has nothing to do with the size of the bedroom. And it is not fair that energy or focus should only be put on the bigger space.There are some romantic and feminine decoration ideas for both big and small and big bedrooms. 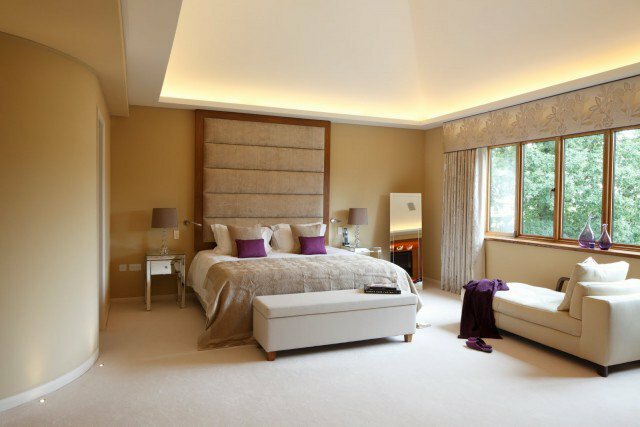 You will be amazed at these bedrooms which exact what you have been dreaming about. That’s why I want to share these great bedroom decoration ideas with you. Just enjoy your life and make your bedroom a better place. Simple yet stylish must be the best words to describe this room. It’s the fruit curtain and the plants that add more life to this plain bedroom. 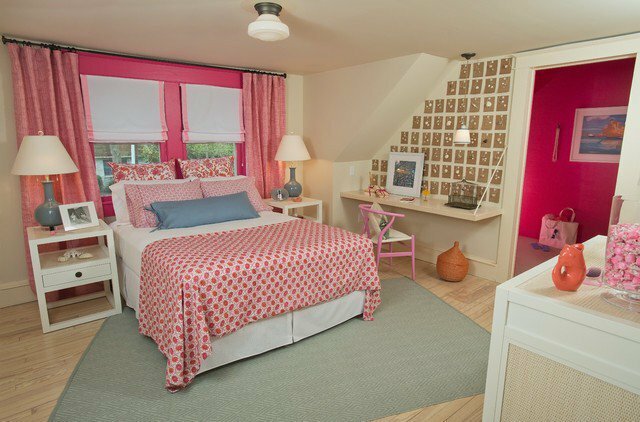 Light colos are comfortable for bedroom, but the floral carpet will make it look more lively. If your bedroom is not big, you can turn it into a fairy land. 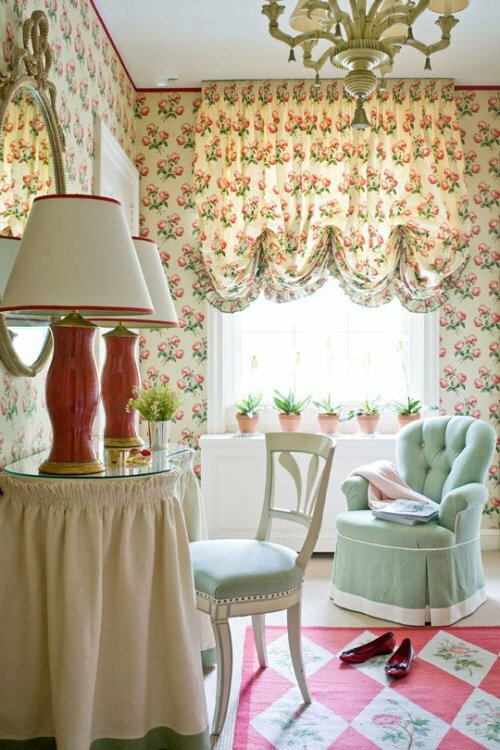 The wall, the floor and the curtains can be decorated in this creative way.This can be fun as well as stylish. Paint the wall pink and you’ve already have a happy feeling. 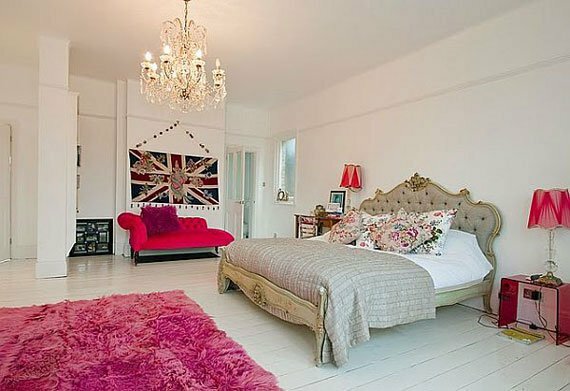 The black bed and leopard-printed sofa tell us that the owner of this room must be a fashionista with a girlish inner heart. It seems that women never think they have already got too many things in red or pink. If you do love a certain color, of course you can use it to decorate your room. After all, you are the peroson who live in it. Black and red will never be wrong when they go together. It’s just gorgous for all women! For a bigger bedroom, the warm colors can make it appear cozy. 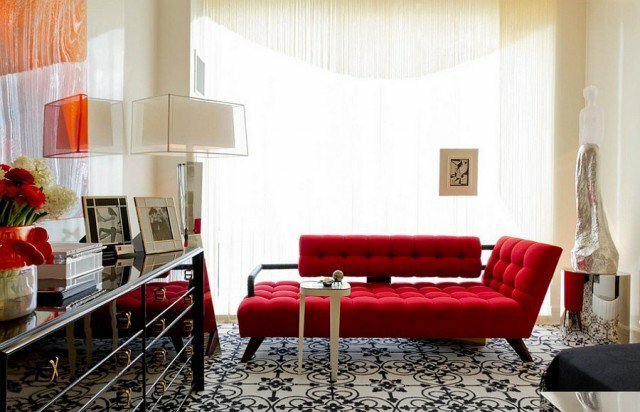 A berry red rug, a rosy coach and the bed lamps can make a big difference to your bedroom. Move the nature into your bedroom by applying the floral wallpaper or painting them on the wall, adding a tree green headboard and lamps as well as hanging an ardent curtain. Some women just want to feel quiet and peaceful in their bedroom, so they won’t allow their bedrooms to be too complicated. This decoration idea is just for those elegant women who need comfort and fashion at the same time. Personally speaking, it’s rather girlish and maybe it’s great for younger girls. 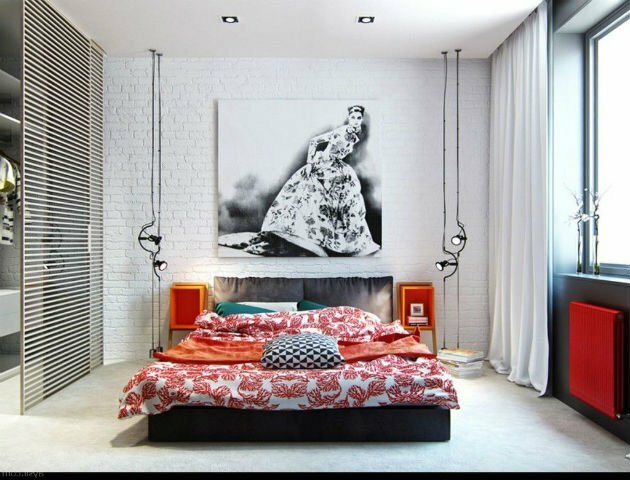 A capacious bedroom can be fashionable and artistic and cute. Click here and see how to make it. Simple, modern and interesting! Use some bright colors to enlight your grey bedroom and your lonely heart. Thus, you will feel warm. The colors are quit a treat both to the eyes and the hearts. This won’t be difficult for you to copy! Just try it. For mature women, they may need such a sober and stylish bedroom. Holy white! No one will say to to this pure and birght bedroom, will you?